CHIEF SERVANT: "We're not looking at, in a serious way, the purpose and thrust of the nation." 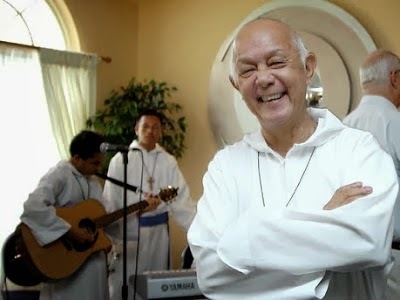 "I'm really happy to see that the baton is being passed on to the next generation of brothers and having a chance to train them and let them get a handle on leadership and how to conduct things according to the tenets of Missionaries of the Poor," remarks Father Richard HoLung, reflecting on his tireless decades-long efforts at the helm of the charitable organization, as he heads into retirement. During a life-retrospective conversation with TALLAWAH at MOP's Hanover Street base earlier this week, the famously energetic priest and spiritual leader was the spitting image of graciousness and heartiness (his health, it seems, has improved tremendously) as he surveyed his life's work and the state of the nation - and looked to the future with fierce optimism. 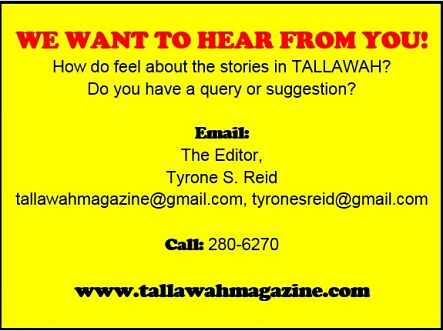 TALLAWAH: When you look back on your life is there anything you wish you'd have done differently? HoLung: I would like to have been more generous when I was younger. When I was younger I was too self-indulgent; I just loved partying and going out with friends, having a good time. I sometimes think if I'd had a little more of head-start I would have done so much more for the country. What's your biggest worry these days? It would be just to give more, train more young people. My greatest concern is always training young people so that they really love the Lord and really love the poor, so that they can achieve happiness and a great spirit of service. What's left for Missionaries of the Poor to accomplish? I think we need to go further internationally, wherever there are poor people and poor countries. We need to impart as much as we can the love that Christ has for the poor. Do you think the Jamaican government is doing enough to help the poor? No, definitely not. I think they are being hoodwinked. There's really a pretense of loving the poor because that's where the votes are. But in terms of real help, it's really being done by the Christian bodies like Food For The Poor, Missionaries of the Poor, Mustard Seed. And I do think the government need to be more grateful for the people who are trying so hard. We must give thanks. What must Jamaicans do to spiritually enrich their lives? Once you lose God, you've lost the centre and purpose of your life, and I think that the popular trend in both politics and business is not so much of serving as being popular. We're not looking at, in a serious way, the purpose and thrust of the nation. We're too concerned with superficialities. Oh yes, especially when I see the young people who really want to do something positive. You've written plays, hymns and mega-musicals. What remains the core message of your work as a writer? As a writer I like people to understand life, the heart and mind and struggles of people whether they are Jamaicans who are poor or Jamaicans who are strong and courageous. I try to get to the heart of the person, the inner conflicts and to show the nobility of man and to show that each of us is really a fantastic creation of God. Candles in the Dark, a HoLung biography, was published last year. Are you planning on writing a memoir? A few years ago I wrote a little book called Secrets of the Kingdom, which carried excerpts of talks that I gave over the years. It has done very well, but it has not been properly released. Hopefully I can interest a publisher in re-releasing it. I love to see people remain strong in good times and bad. It lifts my spirit. I cooperate with the work of God as best as I can but by far what has made me happy and fulfilled is the foundation of the brothers, of Missionaries of the Poor, and of course all our homes and centres for the homeless and destitute, and the people we have been able to reach. That is my greatest joy.